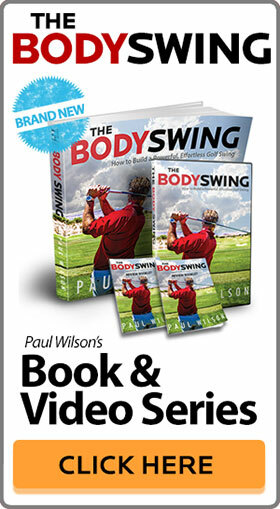 Over the years Paul Wilson has received thousands of testimonials from golfers who have improved their golf games with his products and video golf tips. Below is a small sample of the most recent ones sent in from actual customers. Their emails have been removed for privacy. I am 82 years old and obviously have played for quite a while. I have, in the past, tried, Leadbetter, Faldo, even Hogan and, well you know, just about everyone. It all lead nowhere, maybe good for a while, then back to square one. However, I want to thank you for all you have done for me. My swing has improved 100% better than at any time in my life. I have followed your instructions on YouTube faithfully, making a deep study of your instruction. I am happy to say, that for the very first time I am able to actually bring my knees together on the follow thru. I have, thanks to you, developed a smooth, graceful swing without “hitting” at the ball, as so many others and I normally do. I swing easy with good distance with a straight drive. I won my flight in the club championship by 4 strokes! Actually would have won the next flight up. Shot 89 on Saturday, and 89 on Sunday. That doesn’t sound great, but they had the greens jacked up to a speed of 12, and the scores were running high. Yesterday, three of us were about tied, going into 16. Our course has three really difficult finishing holes. I went bogey, bogey, bogey, and the others dropped out of site. Yesterday, I finished with par, bogey, bogey. It’s hard to get out of there without a couple of doubles or worse. Didn’t lose a golf ball either day! There’s no way this would’ve happened with what I’ve learned from you guys. I have recieved your videos and am using them .I have only been playing for 6 mths and have gone from a 36 to a 29…still have to work on a few things but dont want information overload. Your lessons are fantastic and I tell all my friends about your site. By the way, I think you’re one of the best teachers I’ve ever come across! I watch your videos on utube and at revolution golf. I like what you teach. I’m an 1. I’ve been trying to follow your instructions. I don’t slice but I pull my irons and push my drivers. Since I’ve been trying to use lower body to power the swing I hit the driver off the toe and push it out to the right. my pulls have gotten better. 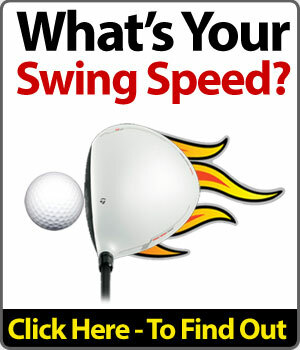 Are you no longer afficiated with revolution golf? Thank you. I watched some of your videos and your approach resonated with me so much. I played with some friends this morning (a par 60 executive course) and had my first round ever with no triple bogeys and only one double bogey. I couldn’t believe the immediate impact of the “tossing” picture of putting. I sank 2 10′ putts on the first two holes. I’m really looking forward to getting more consistent with the use of the book.I feel like the ease of your method is something I can repeat. Changing my grip was frightening, but I was amazed how easily my wrists hinged with your grip. Anyway I’m rambling. Thanks for your instruction. From that perspective – I understand your feelings. I already own your DVD’s and they are great so i would like to do this as I feel you are the finest teacher out there. Thanks. 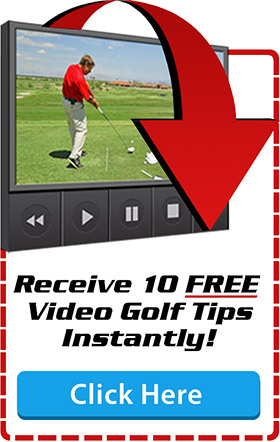 It’s the best golf instruction I have ever seen and I’m telling all the golfers I know about it. For the first time in many years I feel like I’m making some progress.